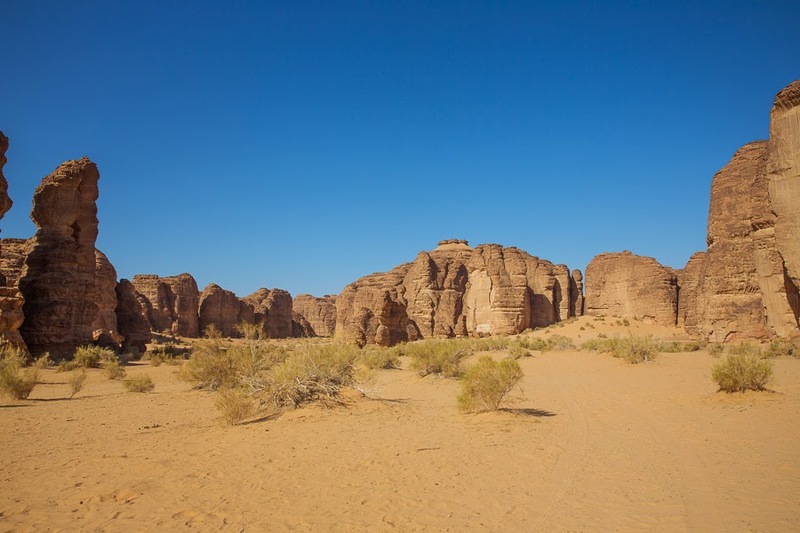 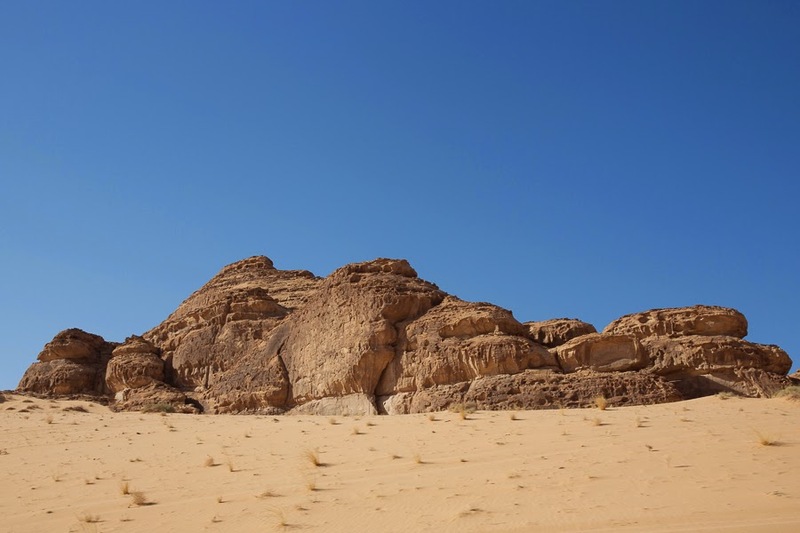 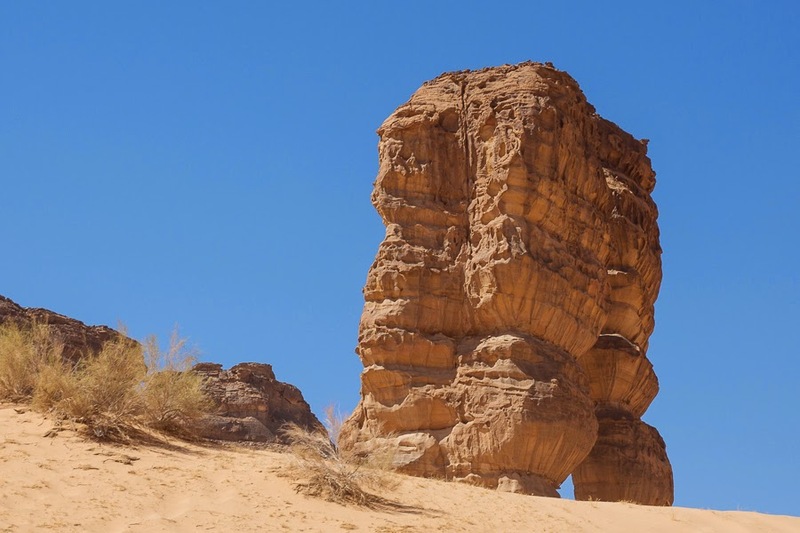 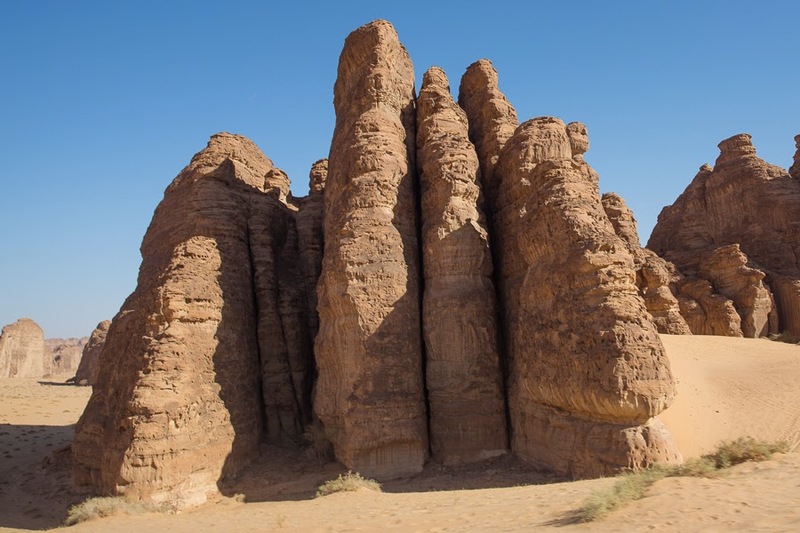 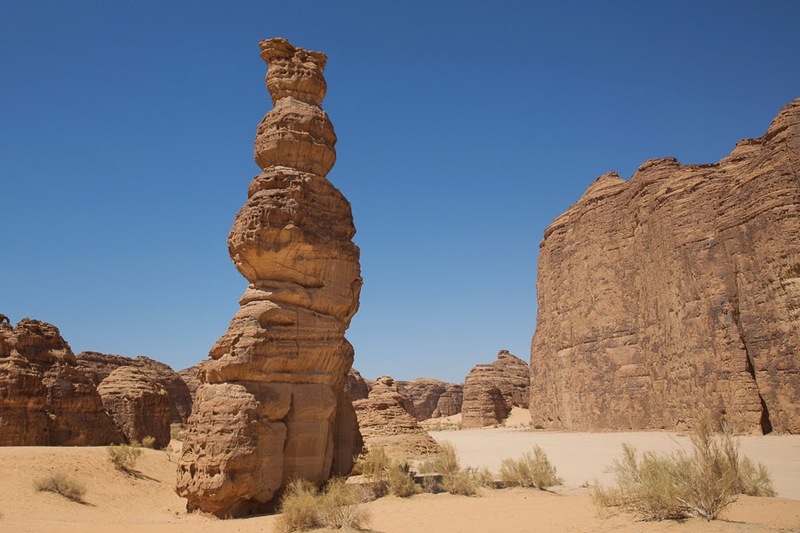 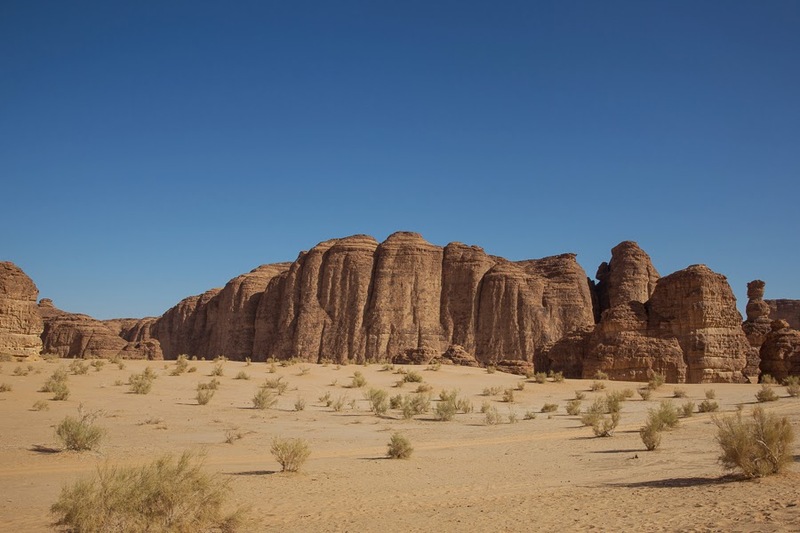 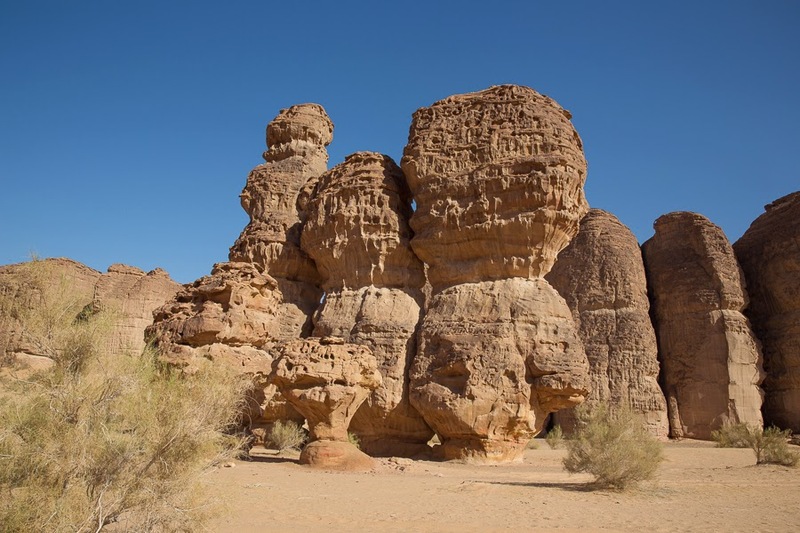 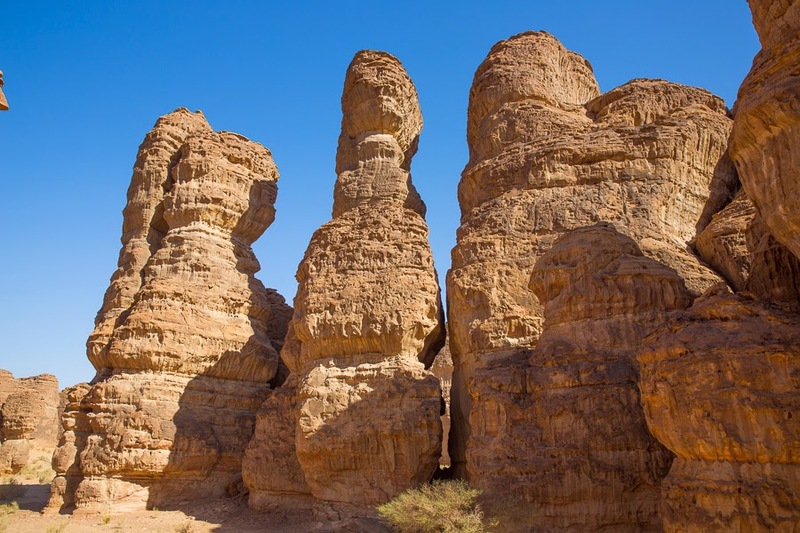 Around Madain Saleh is a remarkable landscape of jumbled wind-eroded sandstone rocks, the Jebel Hejaz. 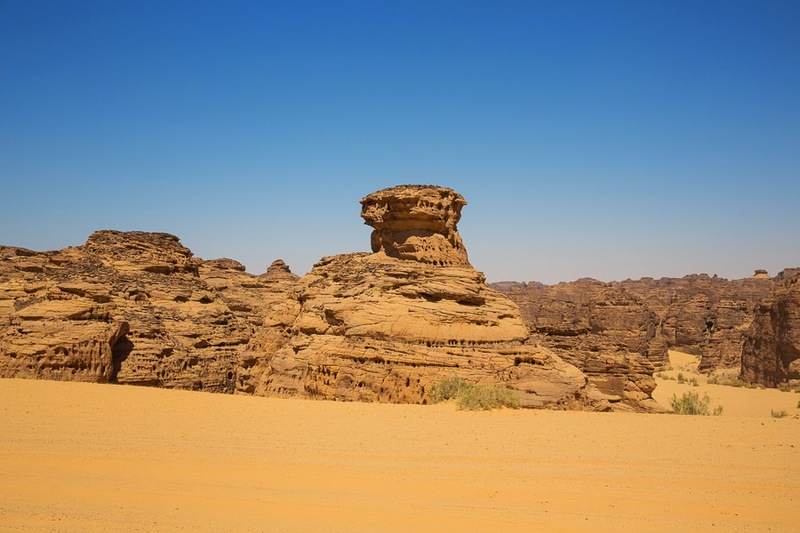 We went on a very early morning 4WD through the rocks and sand dumes and walked along some of the wadis and canyons between these rocks. 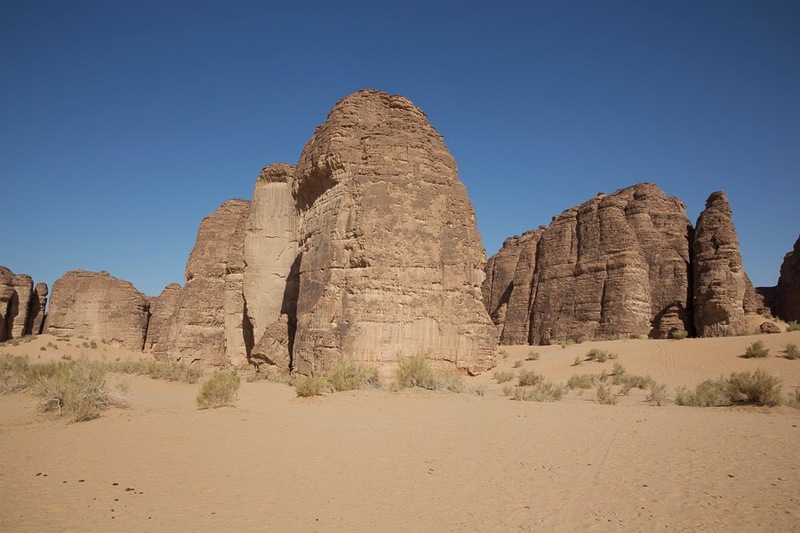 We had a pleasant cup of Arabic coffee and tea amongst the amazing rock formations and enjoyed the peace and quiet, as we were the only people out there the day we went. 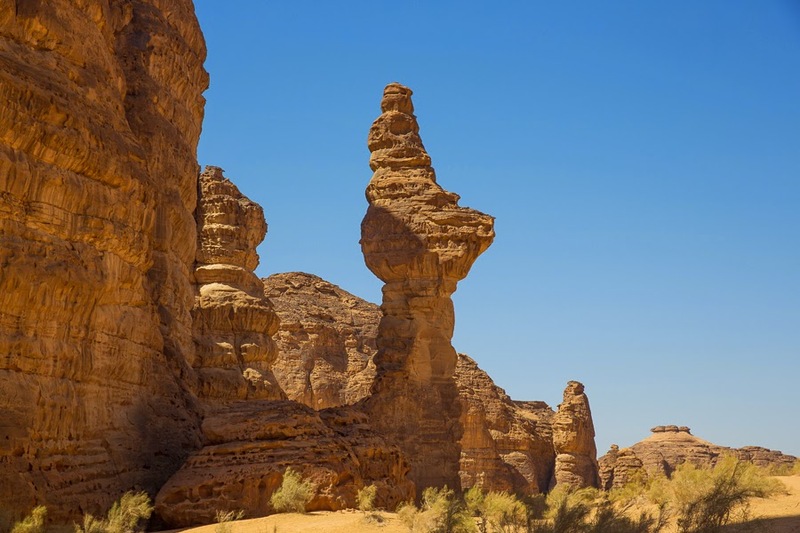 We went to an area called Al Ragasat ‘the dancers mountains’ that are apparently three standing rocks together looking like dancers. 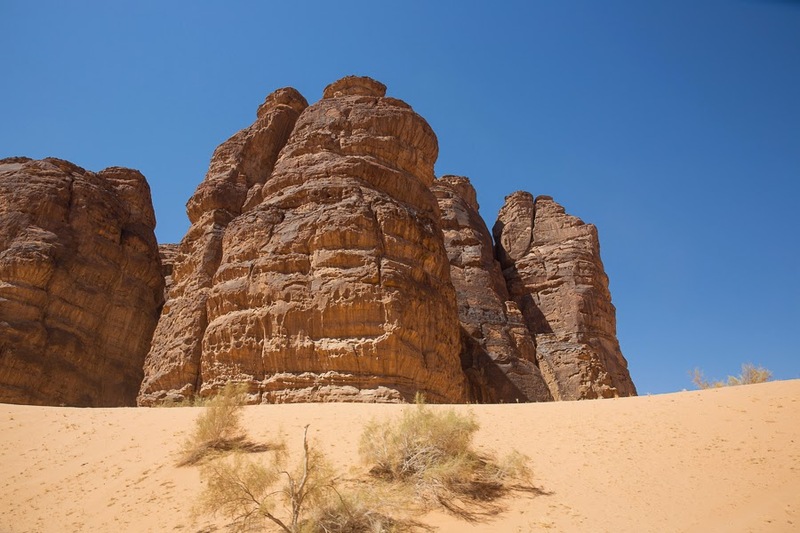 It is essential to have a 4WD vehicle and probably best to go with another car as the sand is deep and soft in places and skill is required to ensure a safe passage. 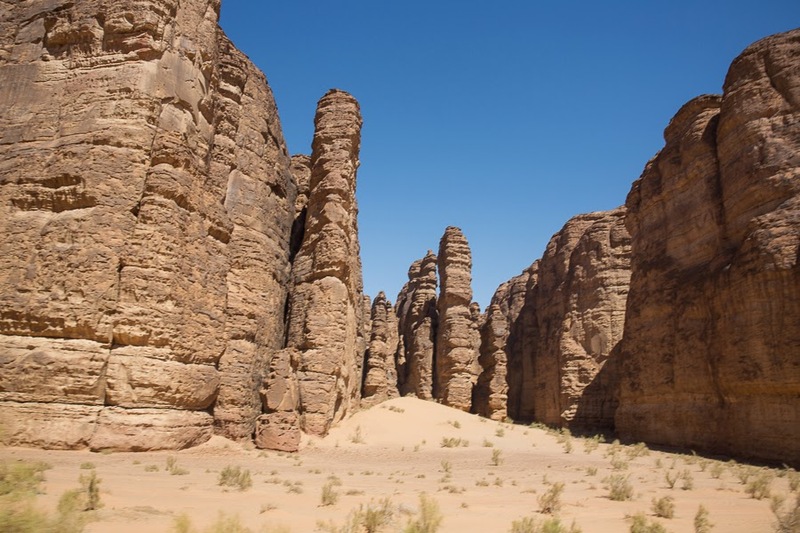 This is a very worthwhile experience if you have the time and money to do it.